The Department offers many courses and unique learning opportunities, all designed to help students develop knowledge and skills that will help them be successful across a wide range of professional and academic futures. In addition to the areas of History, Philosophy and Religious Studies, students can also take courses in Humanities and Interdisciplinary Studies. Our professors are all experts in their fields and motivated by a desire to teach. We work closely with other departments across the College, and institutions across the city, to offer a variety of possibilities for students. Our degree programs focus especially on preparing students for transfer, and are well-suited for students pursuing a Bachelor’s degree or beyond. We offer Associate’s degrees in Religious Studies and Liberal Arts, including the possibility of a Liberal Arts - Social/Behavioral Science Option or a Liberal Arts - Honors Option. Monday, Friday, 8:00 - 10:30 a.m., 12:30 - 3:00 p.m.
Wednesday, 8:00 - 11:30 a.m., 1:30 - 3:00 p.m.
Tuesday, Thursday, 8:00 - 10:30 a.m., 2:30 - 3:00 p.m.
Monday. Friday, 12:30 - 1:30 p.m., 3:00 - 4:30 p.m.
Wednesday, 12:30 - 1:30 p.m., 3:00 - 4:00 p.m.
Monday, 9:10 - 11:20 a.m.
Wednesday, 9:10 - 11:20 a.m.
Tuesday, 2:30 - 3:30 p.m.
Monday, Wednesday, and Friday, 12:40 - 1:40 p.m.
Tuesday, Thursday, 11:30 a.m. - 1:00 p.m.
Each semester the Department sponsors a number of College-wide events and activities, often bringing scholars to campus for public lectures and coordinating student trips to sites with historical, religious or cultural significance. Check back here regularly for updates on upcoming events and news about past events. 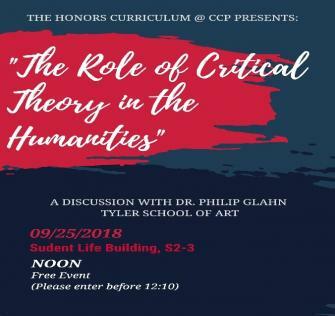 "The Role of Critical Theory in the Humanities"